Dear Readers, Since posting, a number of new developments have arisen at Standing Rock as the battle continues. Please find reports as updates at the bottom of this blog in the “At press time” section which is below “RECOMMENDED ACTIONS”. And please do share my blog with family & friends. 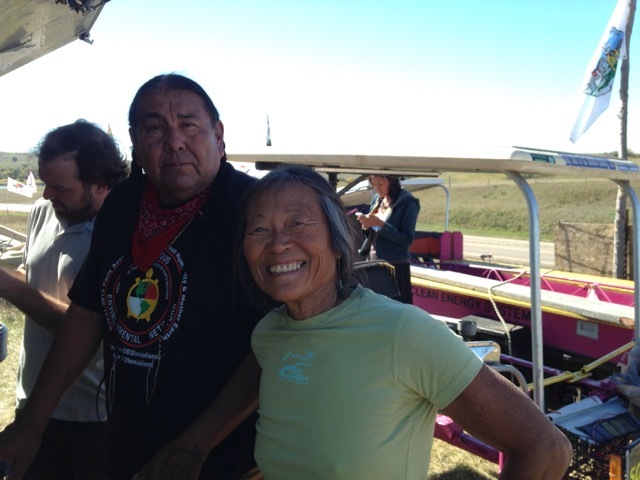 Oceti Sakowin Camp is located north of the Standing Rock Sioux reservation which is the place where thousands including representatives from an unprecedented estimate of over 300 tribes and a rainbow of people from across the world have been gathering in prayer and heartfelt service as “Water Protectors” recognizing that “Water is Life”. All have come to stand in solidarity against the Dakota Access Pipeline (DAPL) which is currently under construction. 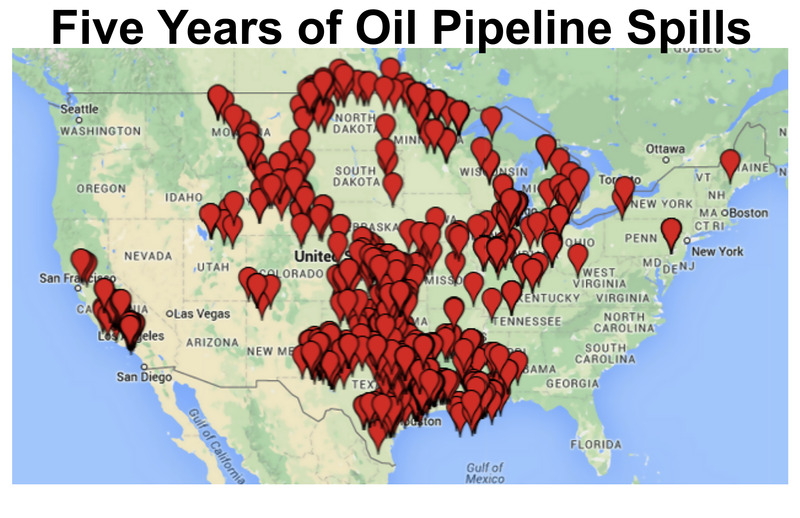 If completed the pipeline would run approximately 1,200 miles through four states pumping about 500,000 barrels of crude oil per day to a refinery for purposes of export outside the United States. Referred to by Water Protectors as “the Black Snake”, DAPL would disrupt 209 streams as well as passing underneath the Missouri River alongside Standing Rock, threatening the tribe's only source of water. Industry insists that pipelines are safe, but ruptures and leaks are a daily occurrence. Between 2010 and 2015, over 3,300 incidents of over 7 million gallons of crude oil and liquefied natural gas leaks or ruptures have occurred on U.S. pipelines, releasing toxic, polluting chemicals in local soil, waterways, and air. In such incidents 80 people have died and 389 have been injured. One of the largest spills happened in North Dakota in 2013 when lightning struck a pipeline, leaking over 840,000 gallons of crude onto a wheat field. 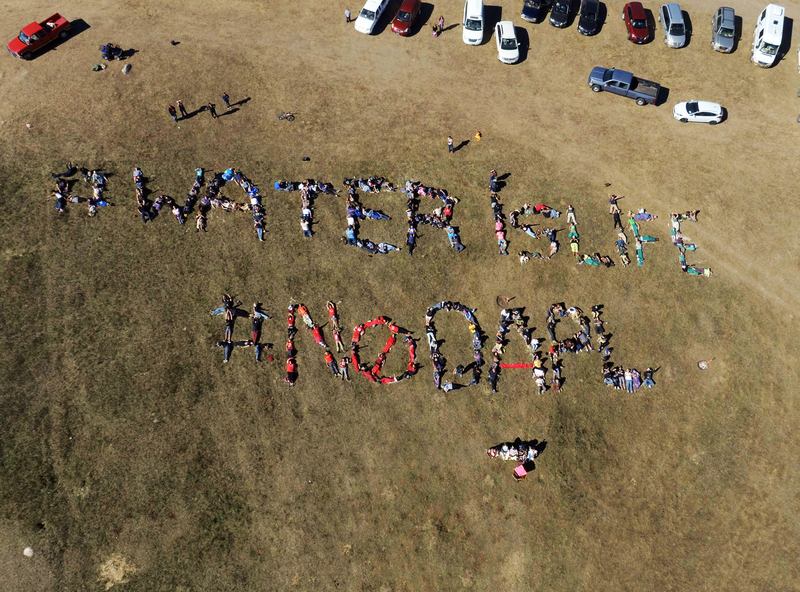 While Dakota Access claims oil leaks are unlikely, an oil leak of over 500 barrels (21,000 gallons) of oil from a separate pipeline in North Dakota was discovered on July 19, 2016, 4 weeks after it began. 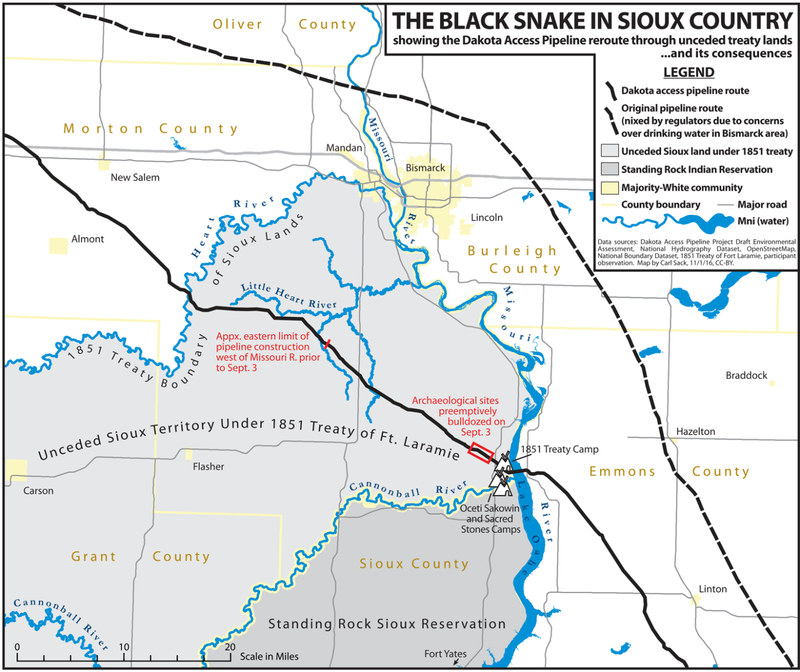 Because of the hazards of DAPL, the original route designed to cross the Missouri River just north of Bismarck, ND, met with such opposition that the path of “the Black Snake” had to be rerouted. Energy Transfer Partners diverted the pipeline to the close proximity of Oceti Sakowin with total disregard for the health and safety of the Standing Rock reservation. One look at a map of the DAPL route shows how a path of destruction pumping about (21,000,000 gallons) of crude oil per day could foul major waterways from the Missouri River, into the Mississippi River, leading to the Gulf of Mexico. In terms of the Origami Whales Project and my work as a conservationist, one might ask: “How could DAPL impact cetaceans (dolphins & whales)?” We know that on March 24, 1989, when the Exxon Valdez oil tanker struck a reef it spilled 11 to 38 million US gallons, 260,000 to 900,000 barrels in Prince William Sound. Not only did this catastrophe severely affect fisheries in the area, it has literally decimated the resident Orca population found there. The Deepwater Horizon disaster of 2010 dumped 4.2 million barrels of oil, and officials released 1.8 million gallons of Corexit, a chemical dispersant used to break up the oil, into the the Gulf of Mexico before the Macondo well was sealed. Fisheries in the area were devastated, and thousands of dolphins and whales have been reported dead. Five years later skin samples were taken from Sperm whales living in the region to test for possible contaminants. Results indicated chromium and nickel two to five times higher than the global average. “For nickel, the concentrations were 'remarkably high' compared to levels measured in Sperm whales elsewhere.” Also found in the area, Bryde’s whales are baleen whales (filter feeders), and research has shown that the calves of other baleen whales may be particularly vulnerable to toxins that build up in their tissues — like nickel and chromium. At Standing Rock, I met journalist John Wathen whose video presentation "Every Kiwi (New Zealander) should see this.” John Wathen's eyewitness account of the Deepwater Horizon Disaster in Gulf of Mexico is included on our “Let's Face It” Visual Petition blog. As our Whales & Dolphins Ambassadors learn, the oceans of the world have become so polluted that the bodies of many dead beached whales have been found to be so contaminated with Mercury, PCB's, and heavy metals that their bodies must be disposed of as toxic waste. The continued use of fossil fuels exacerbates climate change and ocean acidification. 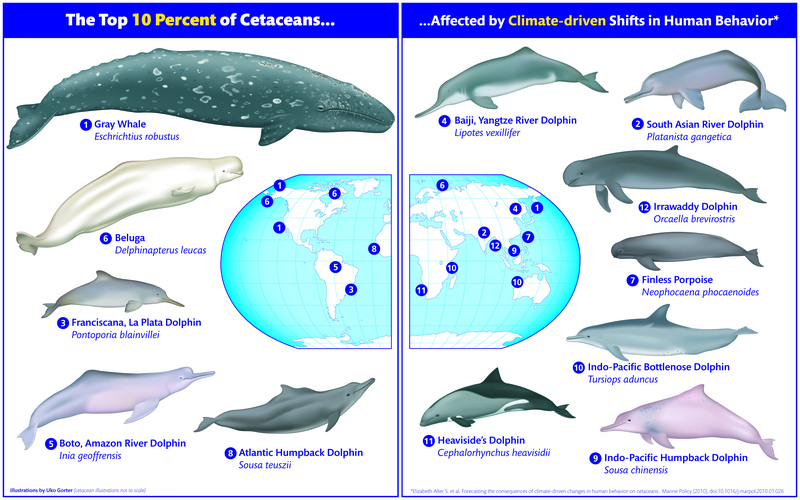 Scientists have reported climate change already impacting at least 12 species of cetaceans. Ocean acidification sometimes called “climate change’s equally evil twin,” could cause the Southern Ocean Antarctic krill, a keystone species in the fragile Southern Ocean ecosystem population, to crash by the year 2300. A collapse in the krill population would not only mean serious economic implications — since the crustacean is the region's largest fishery resource - but also dire consequences for whales, seals, penguins and an entire ecosystem of animals that depend on krill as a primary food source. There is a centuries-long history of over 500 broken treaties, genocide, adversarial disrepect and abuse of Mother Earth that leads to present day contamination of sacred water of the native people of North America. A U.S. Environmental Protection Agency (EPA) crew accidentally released more than three million gallons of mustard-colored wastewater into Cement Creek, a tributary of the Animas River. The polluted waters were carried along the Animas River, through Durango, Colorado, and then flowed into the San Juan River in Farmington, New Mexico, on the morning of Saturday August 8. “Early tests of the water found that the level of lead was 12,000 times higher than normal. It also contained extremely high levels of arsenic, cadmium, beryllium, mercury, zinc, iron and copper. In preliminary statements about contamination and cleanup, the EPA estimated it could take decades to rid the river and its sediments of toxins.” Roughly 215 miles of the San Juan River flows across Navajo land, impacting thousands of residents. Despite lack of coverage by mainstream media (ie: TV news, US newspaper publications, etc. ), reports of opposition to DAPL through gathering of sometimes three thousand people in prayer to protect the water, have spread globally. Amy Goodman of “Democracy Now!” has been posting the most comprehensive reports including a controversial incident when vicious attack dogs were used on water protectors, and Lawrence O'Donnell's special MSNBC program has been a source of inspired reporting. 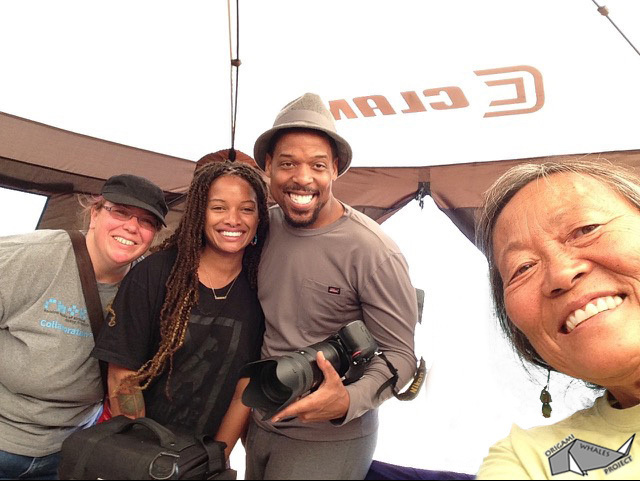 Multiple video postings daily from Sacred Stone and Red Warrior Camps, with tens of thousands of views have been dispersed through social media. “Main Camp” is where most people have been staying, Sacred Stone, and Rosebud are the other primary camps at Oceti Sakowin, with Red Warrior Camp, the center of non-violent direct actions against the project. Pro-DAPL forces are escalating acts of unwarranted violence in attempts to instigate a violent response. Prayerful and peaceful water protectors are met with an array of violence: state troopers armored in riot gear, bearing assault rifles and shotguns, dispensing plastic bullets, mace spray, tear gas, concussion grenades, intense noise devices and water cannons spraying water protectors during deadly sub-freezing temperatures. A recent report revealed TigerSwan Security, the renounced mercenary firm, now coordinates intelligence for Dakota Access. Riddled with controversy, the Army Corps of Engineers approved the project in late August 2016 despite senior officials at the U.S. Environmental Protection Agency (EPA) and two other federal agencies raising serious environmental and safety objections to the North Dakota section of the Dakota Access oil pipeline. In November, it was reported that the Army Corps of Engineers assessment of Dakota Access Pipeline was "seriously deficient and had underestimated the possibility of a pipeline spill into the Missouri River.” Specialist Richard Kuprewicz concluded the pipeline should be rerouted away from an area that is prone to landslides. On September 9th, the Obama administration requested a halt of construction 13 miles to the east and west of the Missouri River, and asked for a voluntary halt of all construction until further assessments are made by the Army Corps of Engineers. 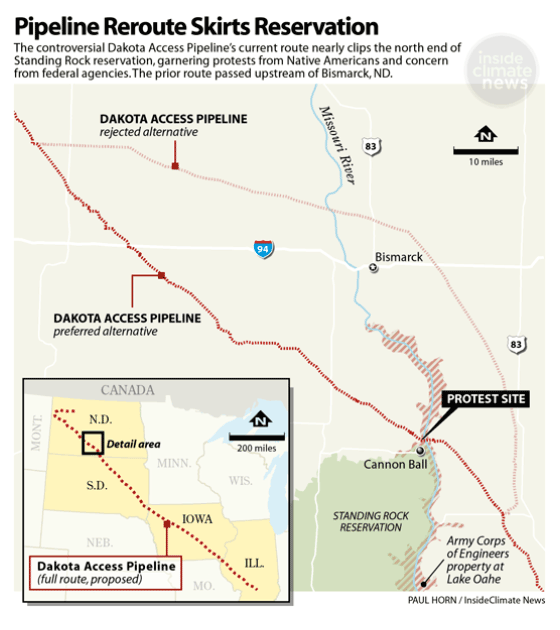 However, Energy Transfer Partners, the company building DAPL has continued to build within the zone, defying the Obama Administration request and ongoing Indigenous protests. Learning about DAPL and Standing Rock, I began in early September by making inquiries with fellow local activist friends to organize a Santa Barbara area rally in solidarity with Standing Rock. 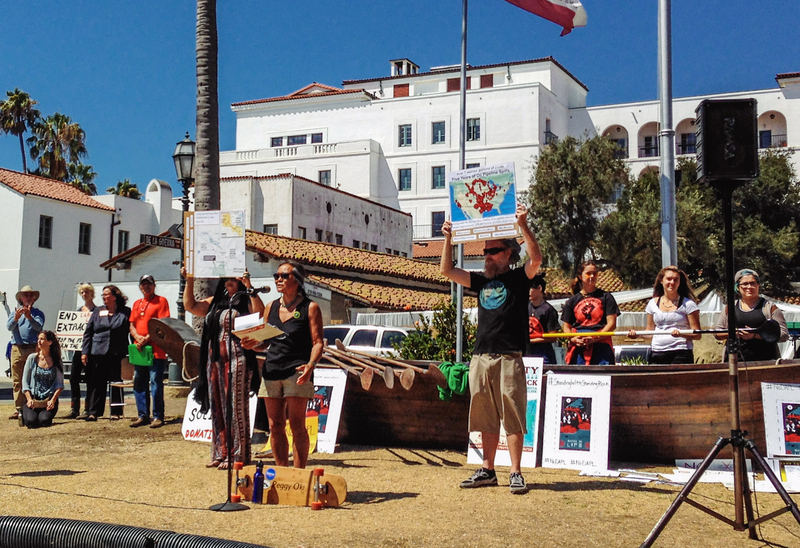 This soon led to the formation of Santa Barbara Standing Rock Coalition among a growing number of groups in cities across the country and the world. With only four days to coordinate after our first meeting, our first rally drew a good crowd of over 200. I also thought that perhaps my skateboarding fame (through “Dogtown & Z-Boys”) could help in reaching a very large skateboard demographic at times third most popular sport among youth in the US. 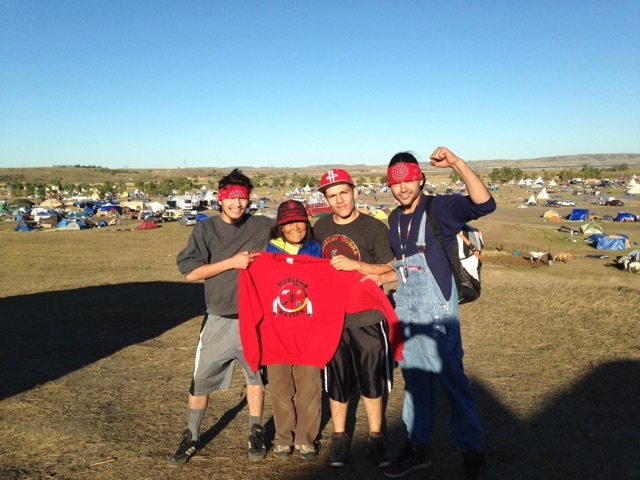 A month later, “by chance” I learned that my friend Sky Siljeg, 22 year old professional skateboarder who I have known since he was 10 years of age, was going to drive out with a couple of friends from Seattle to Standing Rock. It seemed like the perfect match up for social media outreach: Sky's popularity and notable talent in the modern day skateboard world along with my historical role in skateboarding. So on a spur of the moment decision I booked my travel to meet up with Sky and friends. While there, we connected with an excellent videographer, and our video will be posted widely to social media. One of my projects while at Standing Rock was to assist in assessing energy needs and current sources of production in order to facilitate solar systems there. With a bitter cold winter season all of the camps at Standing Rock have been discussing preparations and design of "Winter Camp". During my fulfilling visit, I met with committee members regarding sustainable design aspects to propose to the planners and decision makers. Persons knowledgeable in permaculture design are there now directly involved in “Winter Camp” projects. Who are the people at Standing Rock? Volunteers working in the kitchen preparing 3 meals per day for thousands, health care providers assisting at the medical facility, certified teachers at the “main camp” school, tradespersons to help with carpentry and electrical needs, legal support team from the National Lawyers Guild, photographers, videographers, media specialists, tribal elders and cultural dance performers and singers from among the hundreds of tribes that have been traveling from near and as far as New Zealand in solidarity. People of all ages stand as water protectors led through prayer taking direct peaceful action on the front lines of DAPL construction, and young people stand guard at all entrances of the camps ensuring safety and adherence of Standing Rock policy. Wondering how else I could help while at Standing Rock, the idea came to work from my background in Environmental Art. In very short notice with the help of a new friend Sheridan and team of volunteers, I coordinated an aerial group photo based on my experience two years in a row for our “Let's Face It” Visual Petition campaign for the critically endangered Maui's & Hector's Dolphins of NZ. The Red Nation shall rise again and it shall be a blessing for a sick world; a world filled with broken promises, selfishness and separations; a world longing for light again. I salute the light within your eyes where the whole Universe dwells. For when you are at that center within you and I am that place within me, we shall be one. This Black Snake is not a creation of our Mother Earth. The Black Snake has been brought to life from many million years of the dead and the grasp of profit by those driven by dark evil motives. Cetaceans, humans, all life on this planet are connected through an intricate web dependent on clean safe water. Mni Wiconi means Water is Life. We must choose safe clean energy sources from the sun and the wind. ~Keep the pressure up! Your ACTIONS and PHONE CALLS are MAKING a DIFFERENCE!! Researchers with the nonprofit Food & Water Watch found that 38 banking institutions are involved in funding the Dakota Access pipeline, many of which—Citibank, Wells Fargo—are ones you’ve probably heard of or do business with. DIVEST from Energy Transfer Partners (the parent company of Dakota Access Pipeline) and take your business to Federal Credit Unions. DIVEST! Share this VIDEO from DeFundDAPL, and tell your Banks to stop funding dirty oil, and to finance clean renewable energy instead! “...Kennedy added the missing puzzle piece to this entire equation by pointing out that the billionaire investors in this pipeline – of which Donald Trump is also part of – need the pipeline to be placed, and ran for decades before they make their money back." "The move keeps the drilling beneath the river on hold as the easement's fate is decided. But the tribe has repeatedly called for a comprehensive environmental impact statement of the entire pipeline. The administration did not address that request." ... according to a United Nations human rights expert. "...fully committed to ...completion and fully expect to complete construction of the pipeline without any additional rerouting in and around Lake Oahe. Nothing this Administration has done today changes that in any way". “Many Native Americans view such efforts as a violation of tribal self-determination and culture. "Our spiritual leaders are opposed to the privatization of our lands, which means the commoditization of the nature, water, air we hold sacred"
"...in a tributary of the Little Missouri River this week, but the volume of oil released was still unknown Tuesday, Dec. 6, (2016) as a winter storm affected response efforts." 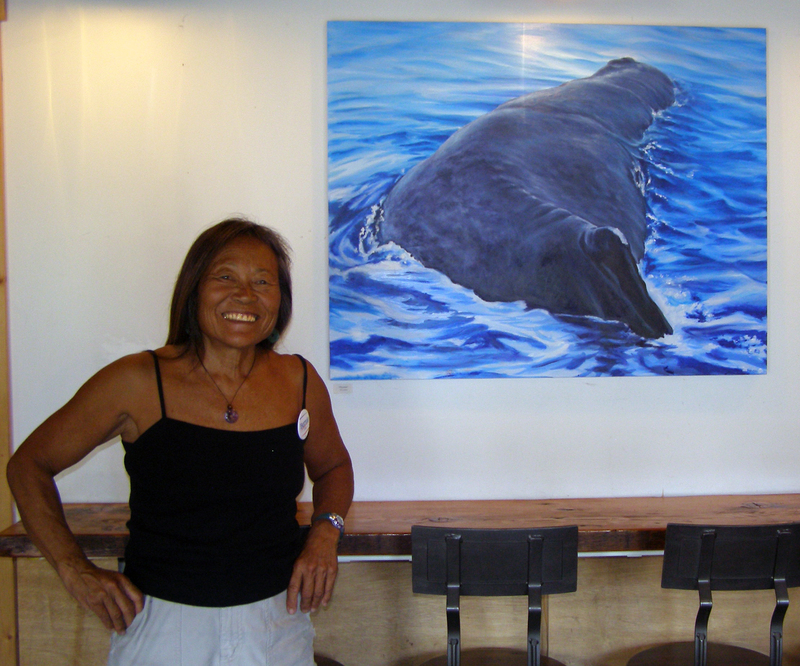 About the author: Peggy Oki is an environmentalist, artist, educator, and activist, Founder & Director of the Origami Whales Project. She uses her art in her activism.